Sigiriya rock stands 370m above sea level. You can find this ancient wonder between Dambulla and Habarane in Sri Lanka. Magma of an extinct volcano from over two billion years ago is responsible for the impressive rock plateau. The shelters and rock overhangs suggest the rock may have been utilised in prehistoric times during the Middle Stone Age and then as a monastery from 3rd Century BC. King Dhatusen ruled Sri Lanka in 467CE. One of the King’s illegitimate sons – Kashyapa ­– wanted power but knew that next in line was his brother Moggallana. Determined to assume the throne, Kashyapa plotted with the army commander to overthrow Dhatusena. Allegedly, Kashyapa found a way to assassinate his father and take the crown from Moggallana who fled to Southern India to escape a similar fate. Without his father and brother, Kashyapa crowned himself king in 477 CE. At the start of his reign, Kashyapa moved the capital from Anuradhapura to Sigiriya. A decision likely made out of fear of his brother’s vengeance. In order to protect himself, he began work on his fortress and palace, the place now known as Sigiriya Rock. Due to its elevated position 200m above the surrounding landscapes, it offered 350-degree views of the land, giving Kashyapa added security. After 18 years of Kashyapa’s reign, Prince Moggallana arrived in Sigiriya with a huge army from India to fight King Kashyapa. Many believe that during the battle, Kashyapa slit his own throat after seeing an imminent defeat. Following the battle, Moggallana returned as the rightful King. He restored the capital back to Anuradhapura and ruled the country from there. In addition, he handed Sigiriya back to the Buddhist priests. King Kashyapa is not highly regarded in Sri Lankan history because of his dubious conduct. However, he is credited as a ruler with an incredible imagination. The Sri Lankan marvel of high calibre art, and engineering skills could have rivalled that of other structures across the world at the time. Post 14th century saw Sigiriya abandoned. It was almost forgotten for the next seven centuries until it was used as an outpost for the Kingdom of Kandy independent monarchy. Western civilization re-discovered Lion Rock in 1831. British army Major Jonathan Forbes of the 78th Highlanders discovered the bush-covered summit of Sigiriya on a horseback trip across the island. During the 1890s H.C.P. Bell, the Archaeological Commissioner for Ceylon and the Maldives spent some time at Sigiriya, overseeing a small dig and research operation. 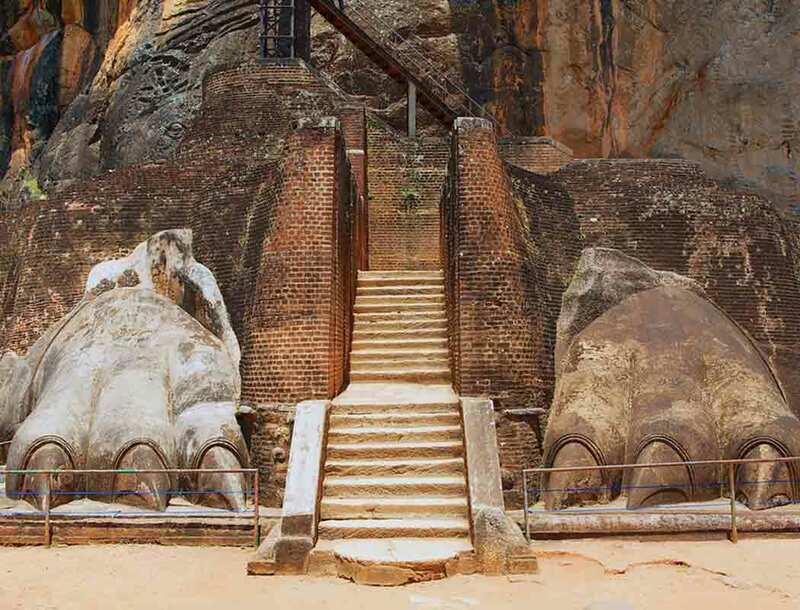 It would be another twenty years until Sigiriya Rock would return to the public eye. In 1907 British explorer John Still visited Sigiriya. International discussion commenced and a renewed interest in the Sri Lankan treasure came about. Full-scale archaeological work to restore the fortress began in 1982. The government-funded Cultural Triangle Project focused its attention on the ancient city. A structure steeped in history occupied by many and currently standing as one of Sri Lanka’s oldest monuments. A trip to the beautiful Island of Sri Lanka is not complete without a visit to Sigiriya Rock.